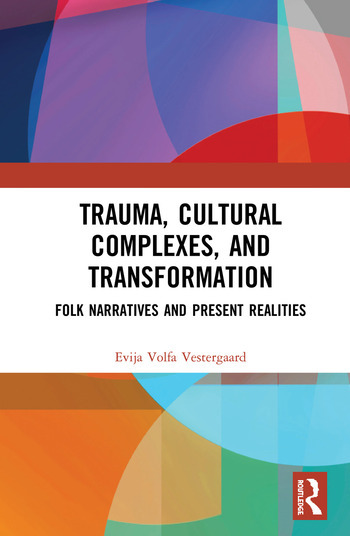 Trauma, Cultural Complexes, and Transformation: Folk Narratives and Present Realities contributes to our understanding of how culturally traumatic events affect present day realities, and suggests the potential for healing by combining theories on psychological trauma, cultural complexes, and transformations. It draws on insight from a range of disciplines, including Jungian psychology, literary criticism, folkloristics, neurosciences, quantum physics, and social studies. Evija Volfa Vestergaard maps folk narratives of human encounters with extra-human entities as communications of cultural traumas suffered by tellers who are embedded in particular historical and geographical settings, focusing on the little-explored globally emerging cultures of Latvia and South Africa, alongside the United States of America. These cultural narratives form a bridge to a discourse on the social, political, and economic issues faced by these countries and the world at large. Vestergaard outlines the parallels between dreams and visions of individuals essential in healing, and the mythological legend genre serving the same function for groups and cultures, demonstrating that the aim of these open-ended communications is not only to reveal hidden truth, but also to stir our imagination about potentialities. Healing of traumas demands a world of global relatedness based on nurturing kinship, and such a transformation begins with imagining. Trauma, Cultural Complexes, and Transformation represents essential reading for academics and students of Jungian and post-Jungian studies, folklore, psychology, cultural studies and anthropology, as well as Jungian analysts and psychotherapists. Evija Volfa Vestergaard, Ph.D., is an independent researcher in Jungian and archetypal studies. Her research explores cultural narratives for insights into cultural trauma, necessary transformations, and healing, drawing on her experiences of living and working in Europe, South Africa, and North America.